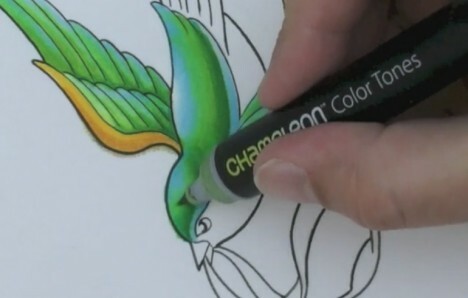 Artists have all kinds of cool tools and tricks to add depth to their work; blending marker colors with an alcohol pen is just one of them. But this technique takes time and skill to master, and it’s just not as fun as the way the Chameleon Pen does it. 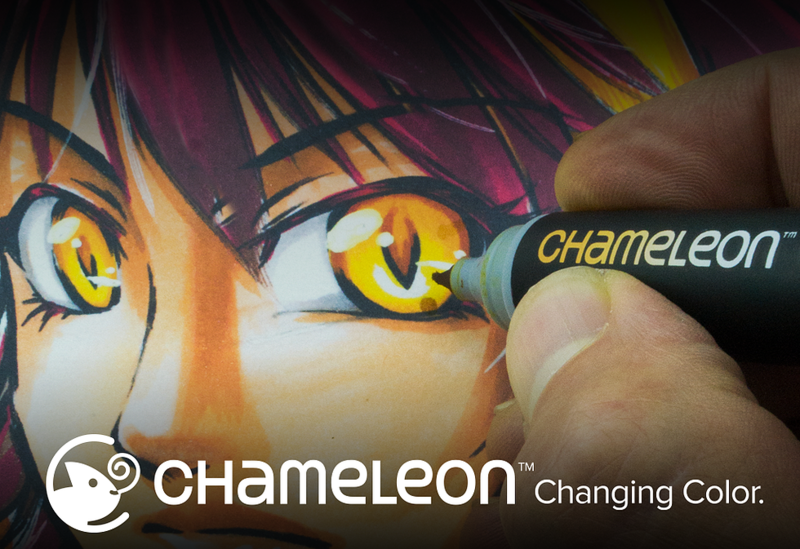 The Chameleon Pen has two nibs for coloring and one alcohol (or “toner”) nib for mixing. To create a custom gradient, all you have to do is hold the colored nib and the toner nib together for a while. The gradient will be more pronounced the longer you hold the two together. When you bring the two nibs together, the mixing alcohol is drawn into the colored nib. Put the marker to paper and begin coloring, and it will start off a very pale shade. Keep coloring and the alcohol effect wears off gradually, creating a beautiful, very subtle gradient that gets darker the longer you color. As seen in the video above, you can create a lot of cool effects, even blending two or more colors to create entirely new color palettes. This is a cool idea for artists who love the gradient effect but hate how time-consuming it is to use a conventional marker and alcohol pen setup. And it’s not just for experienced artists – even amateurs can have fun messing around with the effects in those suddenly-popular grownup coloring books. The Chameleon Pen was released as a limited edition in 2014, but the makers took it to Kickstarter to fund a larger production run. See more in Various Gizmos or under Gadgets. October, 2015.